For a couple of important reasons, our North Delta children's dentists advise against using teeth whitening products for children. Here's why whitening your child’s teeth is not the best idea. When the permanent teeth first erupt, they can sometimes appear distinctly yellow in colour, and look especially dark in comparison to the baby teeth. This is because adult teeth have far more dentin in them than baby teeth do. Dentin is the layer of the tooth that is immediately under the enamel, and it is yellow in colour. Usually, children’s adult teeth just look yellow in comparison to the baby teeth for this reason, and not because they are stained or abnormally dark. As long as your kids have a healthy diet and a thorough oral hygiene routine, yellow-tinged permanent teeth are nothing to worry about. The fact is, there isn’t much data out there yet about the impact whitening products may have on developing teeth. For this reason, our dentists consider it better to be safe and wait until children are teenagers before considering teeth whitening. 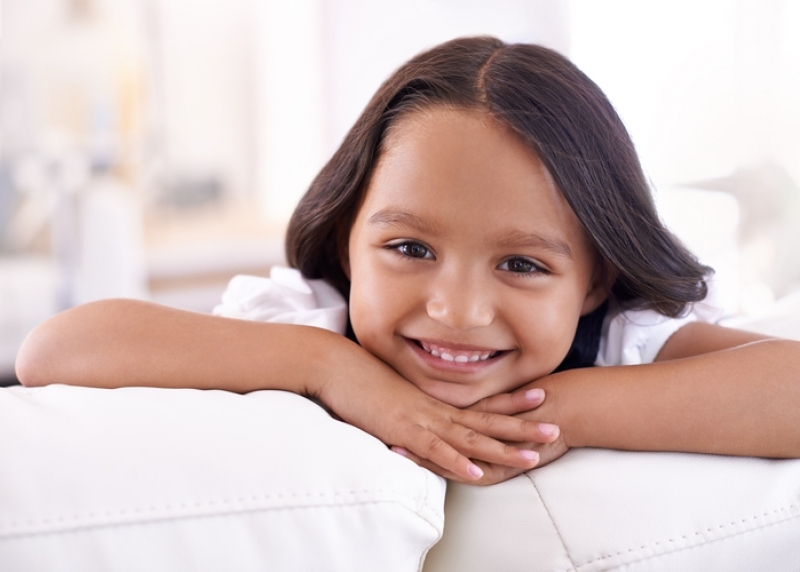 For more information about children’s dental health, please contact our North Delta dentists today!